I received a Ph.D. in Evolution from the University of Lisbon in 1993 and I am currently leading the Conservation Genetics and Management of Animal Genetic Resources (AnGR) Sub-group of the Evolutionary Genetics (EG) research group of cE3c. I am a retired professor of Cytogenetics and Ex-situ Animal Conservation at the University of Lisbon. After my retirement, I only have some specific educational collaborations in post-graduate master courses, and post-graduate training activities, including services to the community through the Applied Genetics Lab (DNA tests) at the University of Lisbon. 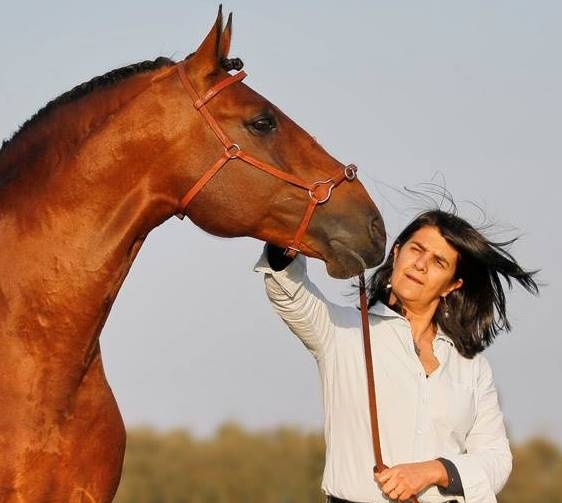 For many years I have been involved in studies of genetic and morphological characterization of equine native breeds, their breeding systems and its consequences on the populations evolving process. I am a member of the management board of the Portuguese Society for Animal Genetic Resources (Sociedade Portuguesa de Recursos Genéticos Animais - SPREGA, http://www.sprega.com.pt/), Founder Member and Vice President of the ‘Associação Internacional de Criadores do Cavalo Ibérico de Tipo Primitivo – Sorraia’, the nominated Technical Secretary of the Sorraia Horse Studbook and a Research Partner on the Horse Genome Project. Montserrat, P.G., Landi, V., Martínez Martínez, A., Gómez Carpio, M., Nogales Baena, S., Delgado Bermejo, J.V., Oom, M.M., Luis, C., Ouragh, L. & Vega-Pla, J.L. (2017) Genetic diversity of the semi-feral Marismeño horse breed assessed with microsatellites.